Stay up-to-date with Investment Management Associates and industry trends right here on our blog. 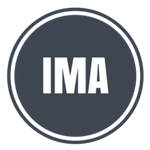 We'll be posting quick reads, videos, and more so that you can always be "in the know" with IMA of Eau Claire, WI! Are Raising Gas Prices Wringing Out Your Wallet? 2018 Goals + Resolutions: Have You Started?